Our oval Garnet gemstone sits in a sterling silver setting and band. The name Garnet is believed to derive from the Latin word for “seed” (granate) due to red garnet’s similarity to a pomegranate seed. This beautiful stone has a deep red colour and is the birthstone for January. Garnet signifies a strong friendship and loyalty and is the perfect gift for a friend. In Medieval times the Garnet was said to provide relief to a fever and boost your immune system. Our oval Garnet ring is handcrafted and set in our South African workshop but can be shipped worldwide. Our rings are also available in gold and platinum and we are happy to source other precious stones. Each ring comes in a soft jewellery pouch along with a sterling silver care card. We recommend that you visit a jewellery store to have your finger measured. Sterling silver amethyst ring Our round Amethyst gemstone sits in a sterling silver setting and band. This beautiful stone is a variety of Quartz that carries a wonderful purple color that ranges from deep violet and red to a lighter lilac colour. Amethyst is the birthstone for February. Amethyst is said to bring peace of mind and represent courage and inner strength. Our Amethyst ring is handcrafted and set in our South African workshop but can be shipped worldwide. Our rings are also available in gold and platinum and we are happy to source other precious stones. 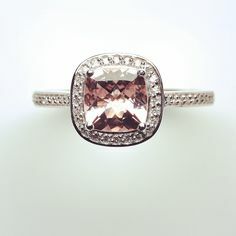 Sterling silver oval pink topaz ring Our oval pink Topaz gemstone sits in a sterling silver setting and band. 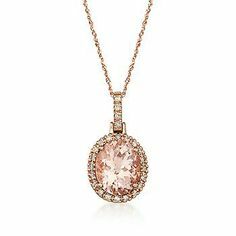 Pink Topaz is the birthstone for October and the delicate pink colour makes it a beautifully feminine piece of jewellery to wear. 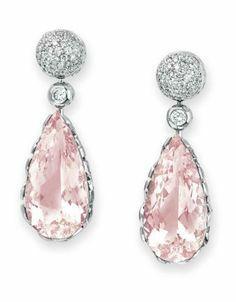 The Pink topaz gemstones were used in the jewellery of the 18th and 19th Century Russian Czarinas. 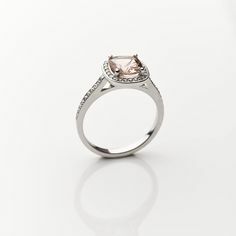 Our pink Topaz ring is handcrafted and set in our South African workshop but can be shipped worldwide. Our rings are also available in gold and platinum and we are happy to source other precious stones. Sterling silver blue topaz ring Our round blue Topaz gemstone sits in a sterling silver setting and band. Blue Topaz is the birthstone for December and has a beautiful clear, cool and sparkling colour. Blue Topaz is said to help channel relaxing energies, fight off chaos and negative emotions and also represents eternal romance and friendship. Our blue Topaz ring is handcrafted and set in our South African workshop but can be shipped worldwide. Our rings are also available in gold and platinum and we are happy to source other precious stones. Sterling silver oval amethyst ring Our oval Amethyst gemstone sits in a sterling silver setting and band. This beautiful stone is a variety of Quartz that carries a wonderful purple color that ranges from deep violet and red to a lighter lilac colour. Amethyst is the birthstone for February. Amethyst is said to bring peace of mind and represent courage and inner strength. Our oval Amethyst ring is handcrafted and set in our South African workshop but can be shipped worldwide. Our rings are also available in gold and platinum and we are happy to source other precious stones. Sterling silver peridot ring Our round Peridot gemstone sits in a sterling silver setting and band. This beautiful stone has a vivid green colour with a small hint of gold and is the perfect gemstone to wear in summer as it also happens to be the birthstone for August. Peridot is said to have magical powers and and healing properties and has been featured in jewellery from as far back as the Egyptians. Our Peridot rings are handcrafted and set in our South African workshop but can be shipped worldwide. Our rings are also available in gold and platinum and we are happy to source other precious stones. Sterling silver oval peridot ring Our large oval Peridot gemstone sits in a sterling silver setting and band. This beautiful stone has a vivid green colour with a small hint of gold and is the perfect gemstone to wear in summer as it also happens to be the birthstone for August. Peridot is said to have magical powers and and healing properties and has been featured in jewellery from as far back as the Egyptians. Our oval Peridot ring is handcrafted and set in our South African workshop but can be shipped worldwide. Our rings are also available in gold and platinum and we are happy to source other precious stones. Sterling silver oval rhodolite ring Our round Rhodolite gemstone sits in a sterling silver setting and band. 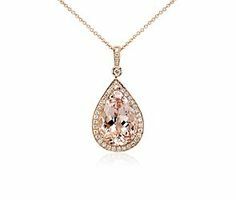 The name Rhodolite is derived from two Greek words meaning "rose stone". This beautiful stone has a stunning colour ranging from rose red to a pale violet and is the birthstone for June. Rhodolite is said to boost your circulation especially in cold weather and soothes and heals the emotional body, Our oval Rhodolite ring is handcrafted and set in our South African workshop but can be shipped worldwide. Our rings are also available in gold and platinum and we are happy to source other precious stones. Sterling silver garnet ring Our round Garnet gemstone sits in a sterling silver setting and band. The name Garnet is believed to derive from the Latin word for "seed" (granate) due to red garnet's similarity to a pomegranate seed. This beautiful stone has a deep red colour and is the birthstone for January. Peridot signifies a strong friendship and loyalty and is the perfect gift for a friend. In Medieval times the Garnet was said to provide relief to a fever and boost your immune system. Our Garnet ring is handcrafted and set in our South African workshop but can be shipped worldwide. Our rings are also available in gold and platinum and we are happy to source other precious stones. Sterling silver oval blue topaz ring Our oval blue Topaz gemstone sits in a sterling silver setting and band. Blue Topaz is the birthstone for December and has a beautiful clear, cool and sparkling colour. Blue Topaz is said to help channel relaxing energies, fight off chaos and worrying emotions and also represents eternal romance and friendship. Our oval blue Topaz ring is handcrafted and set in our South African workshop but can be shipped worldwide. Our rings are also available in gold and platinum and we are happy to source other precious stones. Sterling silver citrine ring Our round Citrine gemstone sits in a sterling silver setting and band. This beautiful stone can vary in colour from a pale lemon colour to a deep golden hue. Citrine is the birthstone for November. Citrine is said to let go of negativity energy and is considered to be a success stone. Our Citrine ring is handcrafted and set in our South African workshop but can be shipped worldwide. Our rings are also available in gold and platinum and we are happy to source other precious stones.